At KIN*K, Cherimus will preview their videos and the drafts of 2018 projects: the Summer School that just concluded in Sardinia and Carnival! Nairobi. 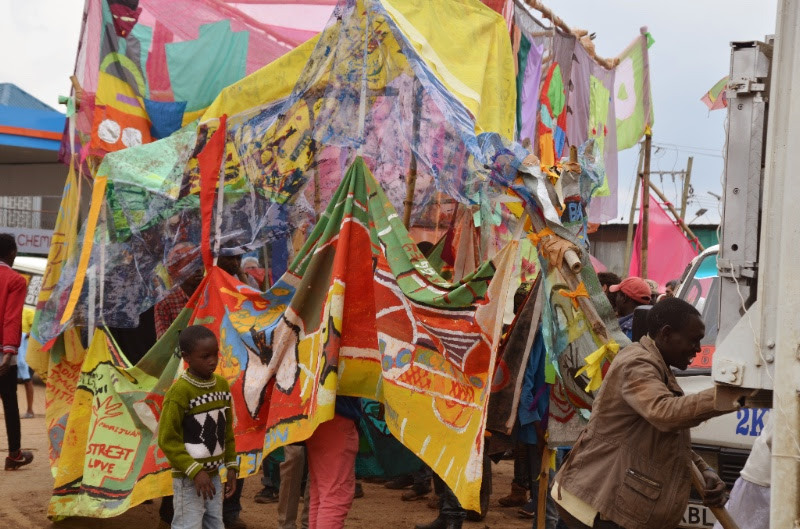 In Nairobi Cherimus built a masquerade parade through workshops in collaboration with the Koinonia Community, a multi-faceted organization that works with youth and children who live on the streets of the Kenyan capital. Cherimus’ aim is to contribute to the development of the social and cultural patrimony – past and present – of the the Sulcis-Iglesiente region (south-west Sardinia, Italy) through art. To do that, Cherimus also seeks to open Sulcis up to inputs and experiences coming from distant places (the Mediterranean, Africa, Europe), through international cooperation projects aimed at revitalizing and transforming the specific characters of its territory. Our goal is to build a bridge between regions that are geographically remote or apparently incompatible, but that nonetheless experience similar contradictions between their marginality and cultural richness. Cherimus is a no-profit association founded in 2007 in Perdaxius – Sardinia by Marco Colombaioni, Matteo Rubbi and Emiliana Sabiu. Right now the team includes artists and professionals from different sectors and disciplines, based in Sardinia, Milan, Berlin and Istanbul. They are: Fiammetta Caime, Derek MF Di Fabio, Andrea Rossi, Matteo Rubbi, Emiliana Sabiu, Carlo Spiga. Credit Photo: Carnival! Nairobi, the parade. Photo by Francesca Casassa Vigna.